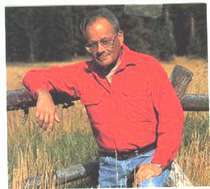 Ronald M. Lanner has explored the forests of the Western United States for 50 years. In the course of this, and in devoting five of his six books to the region’s trees, he has revealed that no where else on the planet has the same diversity of conifers, be it the oldest (bristlecone pines) or the tallest (redwoods) or the biggest (sequoias). So Chance of Rain asked environment reporter Ilsa Setziol to interview Lanner on the future of the region’s timbered ranges in the face of climate change. 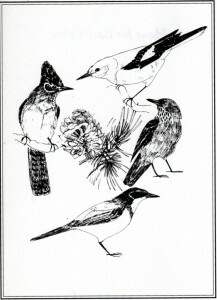 Her discussion with the author of “The Pinon Pine,” “Trees of the Great Basin,” “The Conifers of California,” “Made for Each Other: A Symbiosis of Birds and Pines,” and “The Bristlecone Book” is not just for those who love trees, but for all who have experienced a moment of awe and wonder in a Western forest. Update: For the December 1, 2009 paper, “Recent unprecedented tree-ring growth in bristlecone pine at the highest elevations and possible causes” by Salzer et al, vol. 106, no. 48 20348-20353, Proceedings of the National Academy of Sciences, click here. RL: It’s hard to know for sure. Unless you do a controlled experiment over long period of time, you’ll not get definitive answer, but there are strong indications. At high elevation, where lodgepole pine grows, it has, for a good number of years, been invading meadows. And mountain hemlock has also done that in the Sierra. It’s believed that ponderosa pine has had an increasing mortality rate at its lower elevation and is tending to do best at higher elevations. IS: Ponderosas grow in such a range of hot, dry conditions, you wouldn’t think a little warming would affect them in the Sierra. RL: It’s a variable species that grows over a huge geographic area. From place to place, it grows under different conditions. In each of those places, it’s adapted to those specific conditions. If you look at specific places where ponderosas have grown for hundreds of years, possibly they’re well adapted to local conditions. Then if the conditions change, it’s going to do less well. IS: Will ponderosas and other conifers be able to “travel” upslope fast enough to keep pace with warming? RL: Nobody can say for sure. 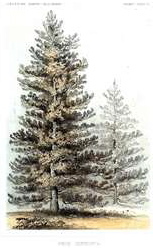 Most conifers have wind-dispersed seeds, and wind tends to move upslope. The great majority of seeds will not travel far, they will land close to the mother tree. But it’s not unusual to get a fair number traveling 100 meters, and fewer going 1,000 meters, with an occasional seed going a couple miles depending on air currents. Occasionally, you can get large quantities moving that way, but it’s not predictable. IS: And the dispersal is only part of the regenerative process? RL: Yes, the seeds have to find a so-called “safe site,” a place where they can land and germinate, become established and survive. They’re adapted to do that under a fairly wide range of conditions. But they do have a range of tolerance, and if temperature or moisture availability is outside that range they may not be able to handle it. IS: Are we likely to see entire ecosystems moving upslope, or might we find new configurations of plants? RL: If the past is an indication, you’re going to find the plant communities will have different members once they are forced to move on. If you look at the composition of packrat middens in the West, where you can carbon date the materials they’ve gathered within 100 yards, they end up giving you a good herbarium. When this has been done very precisely, in many parts of West, especially Southwest, the combination of species differ from what we see today. 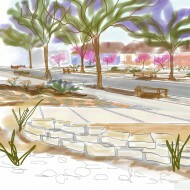 There was a mixture of trees and shrubs that does not coincide with those we have today. So, I think the species will behave individualistically instead of as a community. 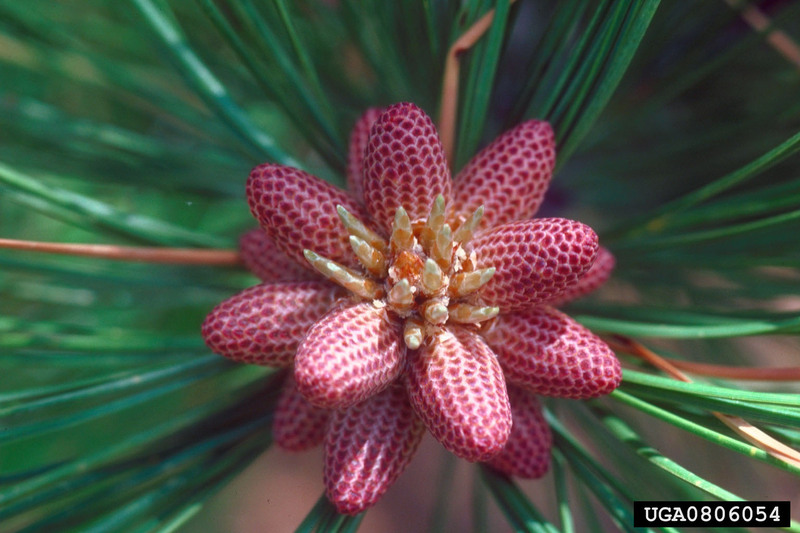 IS: Are some conifers at risk of extinction or near extinction in much of their ranges? RL: I see two possibilities. If it became much hotter, the tolerance of species at the lower edge of forests, such as the grey pine, which is just above arid foothills, might be exceeded. You could lose those. On the other hand, they’re already adapted to hot, dry conditions. We really don’t know. More likely conifers such as whitebark pine and Great Basin bristlecone pines that are high on mountain ranges now might not be able to migrate any farther up because they’re already high up. 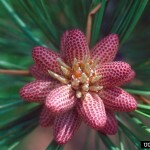 With whitebark pine, the seeds are dispersed by the Clark’s nutcracker, and at upper elevations only by the nutcracker. You have to factor in how the nutcracker will respond. If whitebark pine shows distress — not producing as many nuts — maybe it will no longer attract the Clark’s nutcracker, maybe they’ll fly off. We really don’t know what the behavior of the dispersing animal is going to be. A lot of it is just guesswork. Most people looking at trees, foresters, tend to ignore the behavior of dispersing animals. They look just at the tolerance of trees. But it gets more complicated than that. IS: The future isn’t looking bright . . .
RL: But keep in the back of your mind with all of this stuff that most of the conifers that have been studied over their whole geographic range have tended to show that they have just as much genetic variability at each location as they do over most of their range. So a particular strand of ponderosa is going to be variable, carrying many genes that it’s not expressing now. There may be a lot of surprises in store for us. IS: So you have some optimism? RL: I don’t know what to be optimistic about. It’s just so unprecedented in terms of our experience. All the genetic variation is not going to help if a fire comes along. 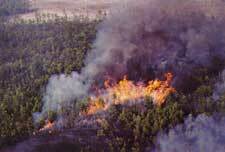 The trees have no ability to withstand high combusting temperatures. The mere fact of drought, drying out the fuels, can create conditions beyond the coping ability of the trees. 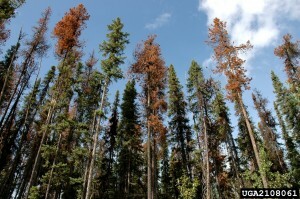 Half of the lodgepole pines in British Columbia and Alberta have been wiped out by the mountain pine beetle. 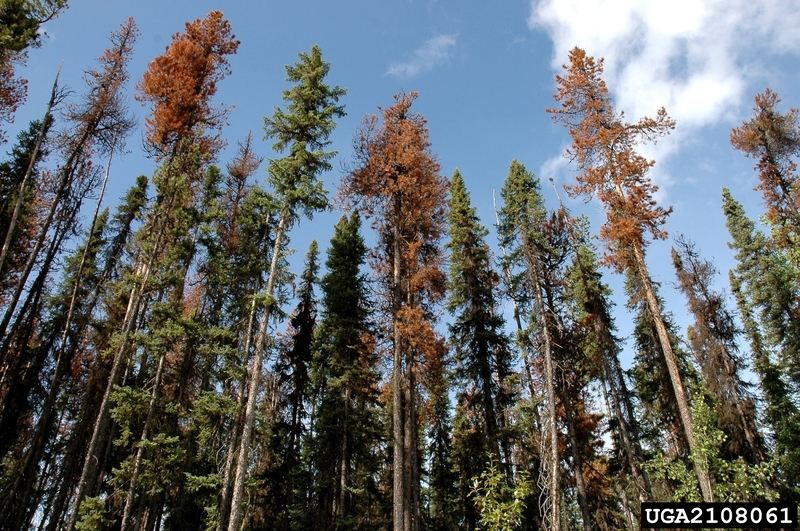 Not only were the trees stressed by warmer winters, there was less beetle mortality as a result of having warm winters. Because of the long warm season they were able to produce two or three generations in one season. IS: It’s a scary thought for us in California. RL: It’s a grim prospect. IS: When we think of snowpack decline, we often worry first about our drinking water and agricultural irrigation, but early snowmelt impacts forests, too. Could you explain how? RL: If you have low snowpack, you’ll have less melt water going into the soil and you’re also going to get less stream flow. Soil getting less moisture will be drier. Fuels on the ground — dead wood, shrubbery — will be drier because it’s had less snow on it for a lesser period of time. It will be more combustible sooner, and the fire season can start earlier. Anything that’s dried out is going to burn hotter and ignite more easily. The fact of having a longer fire season by itself is bad, and with the dryness, increasingly so. Also, if winter is warm and snow melts sooner, then when trees are ready to start growing, they may not have sufficient water to grow and photosynthesize. Most of our trees make buds. Next year’s growth comes out of buds formed in this year’s summer. The amount of growth depends on how long a period of bud-making there has been. If in the summer you have severe drought, then the trees will put on smaller buds, which will result in less growth next year. If this continues year after year, the trees will be stunted. The ideal conditions would be to have moisture throughout the summer. In the Sierra you get thundershowers in summer. But in drought conditions there is less growth. Less growth means photosynthesis is reduced. Drought also reduces the amount of water in the trees’ tissues. One of the results of that is resin in the tree is under less hydrostatic pressure. When wood is well watered, then there’s more pressure in the resin system. So bark beetles have to fight off the flow of resin. In a drought, the beetles can get inside the trees more frequently. IS: But aren’t these fire-adapted ecosystems? Why are the climate projections so worrisome? RL: Because the fires we’re getting are much greater in scope than what we’re talking about as natural conditions, partly because of drying and warming, but also from fuel accumulation resulting from fighting fires in last 100 years. A lot of foresters are probably secretly happy that Mother Nature is getting the blame instead of them. IS: I hope that’s all the bad news. RL: I can’t think of any real good news. Our trees also have a requirement for winter cold. They go into dormancy late in summer and early fall. During dormancy, there are no visible signs of growth. In order to break dormancy in spring, they have to have received a minimum amount of chilling. This will vary with the species, similar to fruit trees. We know very little about the detail of this with forest trees. But if the trees don’t get their chilling requirements they’re not going to come out of dormancy in a normal way. It’s like how spruce and fir grow in a place like Hawaii. They don’t grow normally. They’re bushy and stunted like they are at timberline. Then if you’re that messed up you’ll also have trouble reproductively. It’s not necessarily true of every species, though. Also, most of our conifers are very much dependent on fungi in the soil, and I don’t know if the mycorrhizal fungi are sensitive to warmer conditions in the soil. IS: Okay, I’ve got to switch to a lighter subject. 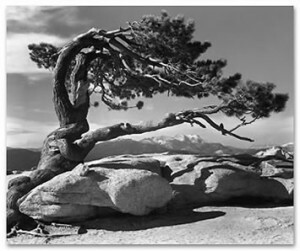 So, is Jeffrey pine a true species or just a variety of ponderosa? RL: It’s a different species. It used to be thought of as a variety of ponderosa, but that was given up a century ago. It replaces ponderosa as you go up in elevation. 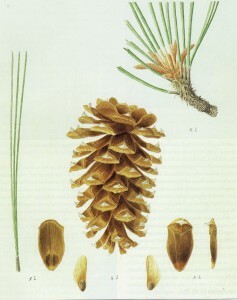 To identify it, the easiest way is the cones. Jeffrey has more massive cones. When you hold one in your hand, ponderosas will fit in your hand nicely and they’re prickly. Jeffery’s cone is much bigger than your hand, like a small pineapple, and the prickles don’t attack you. It has a nice smooth feeling to it. 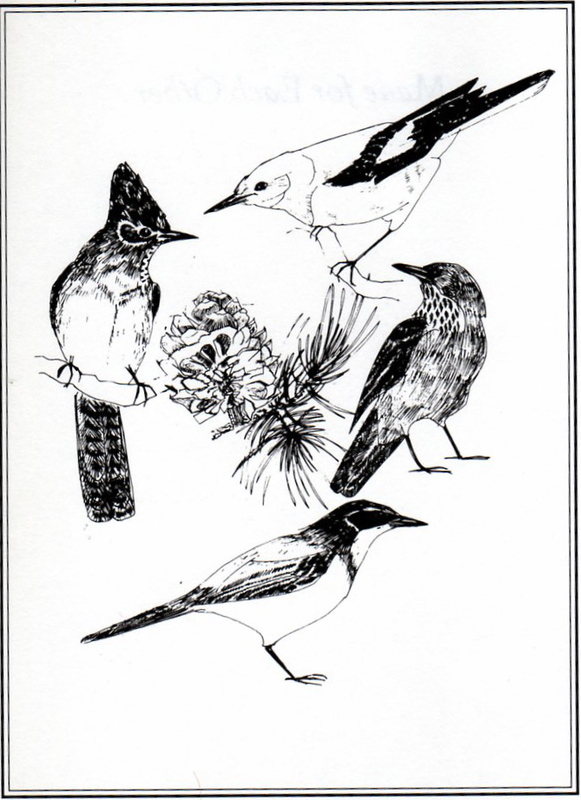 The two species do hybridize, but it’s not at all common. Jeffrey smells like vanilla. Ponderosas are more neutral. Also, Jeffrey has a deeper colored, reddish bark, not as yellowish as ponderosa can get. And the foliage is more bluish. It’s a more compact looking tree. 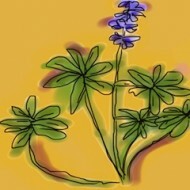 In the Sierra, the Jeffrey grows on the east side. IS: Thank you so much for speaking with us. RL: It was a pleasure. 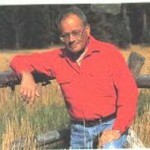 Ronald M. Lanner lives in Placerville, California. Click here to be taken to his website. This post has been updated. The lead photo has been changed. Great interview and article. Thanks Ilsa and Emily for making this happen. 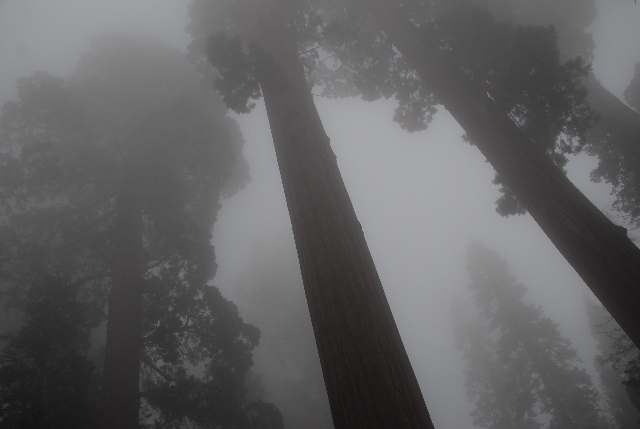 I wish my little grand sons could grow up in a southern California with healthy trees and good forest ecosystems close by… but those days are gone, due to an unfortunate decline we have seen over the span of only a few decades.